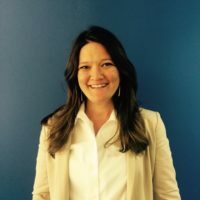 Stacy Cook, AICP is a Senior Associate for Cambridge Systematics. She supports agencies in navigating change, such as adapting to new technologies, and managing growth, land use, and transportation investments to create vibrant, walkable communities and improve regional mobility. Ms. Cook is supporting the development of the Virginia Automated Vehicle 20XX Strategic Plan and is supporting a workshop series for the Centralina COG in North Carolina that is designed to help the region take the first steps to prepare for automated and connected vehicles. For VIA Metropolitan Transit (VIA) of San Antonio, Ms. Cook lead a team to conduct land use planning efforts for future station areas, including the development of 6 station concept plans and a Strategic Land Use Plan for Station Areas, as part of VIA’s long-range plan update.